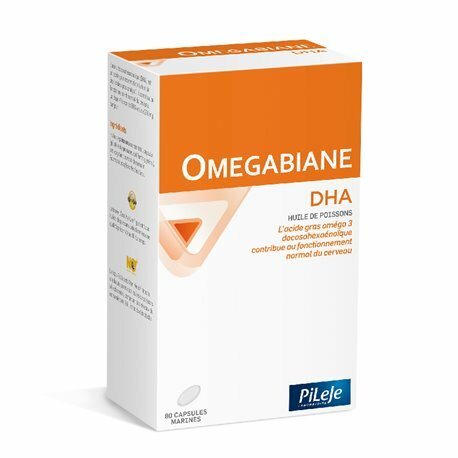 OMEGABIANE DHA PILEJE 80 CAPSULES: Rich in omega 3 fatty acid DHA (docosahexaenoic). 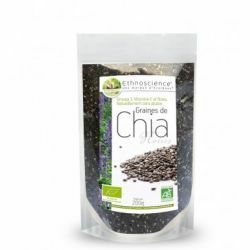 Allows the proper functioning of the membranes of the brain cells. There are two families of essential fatty acids: omega 6 and 3. These acids are essential to humans and only brought by the diet because the body does not know how to make them. Essential fatty acids have beneficial effects on health and could even prove to be key nutrients during the development of humans in the neonatal period. DHA, docosahexaenoic acid, is an Omega 3, a fatty acid essential for the proper functioning of the brain . Indeed, it allows a good membrane fluidity and thus an improvement in the bonds between the neurotransmitters. One Omegabiane DHA capsule from PiLeJecontains 250 mg of DHA and 50 mg of EPA thus allowing the functioning of the membranes of the brain cells. DHA (docosahexaenoic acid) is present in cold-water fish such as sardines, salmon and herring. It is an omega-3 fatty acid essential for the proper functioning of brain function, nervous system, vision, cardiovascular system, among other essential physiological functions. DHA is Omega 3 fatty acid Studies in children have shown the benefits of DHA: Children supplemented with DHA have a higher intelligence quotient, better concentration. 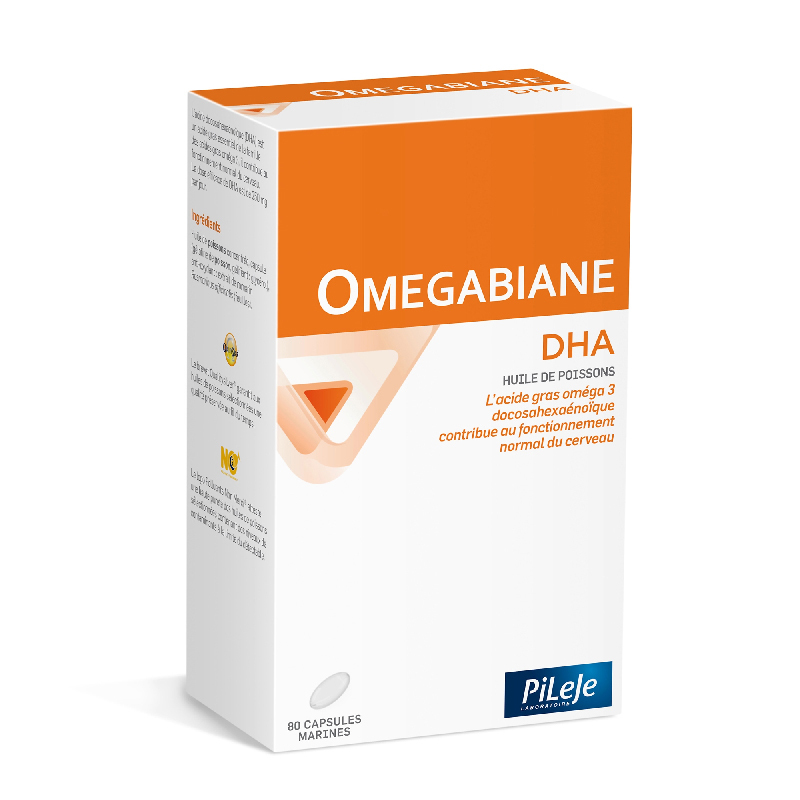 Omégabiane DHA from the PiLeJe laboratory is recommended along with a diet to ensure a balanced intake of essential fatty acids. Supplementation with docosahexaenoic acid (DHA) contributes to normal brain function, especially in people over 45 years of age. For people in a state of cognitive decline, prefer the food supplement Memobiane Protect . 1 to 3 capsules of Omegabiane DHA per day, swallowed with a large glass of water. Duration of the supplementation: 26 to 80 days. Comment on advice for use and dosage of OMEGABIANE DHA Pileje pharmacy with our partner Avis checked after your purchase. Concentrated fish oil, capsule (fish gelatin, gelling agent: glycerol), anti-oxidant: natural extract of rosemary. The EPAX standard and the Qualitysilver patent guarantee selected fish oils, optimum quality and purity, preserved over time.